Comments: This is a creeping mat forming perennial that can be quite invasive if growth is not checked. 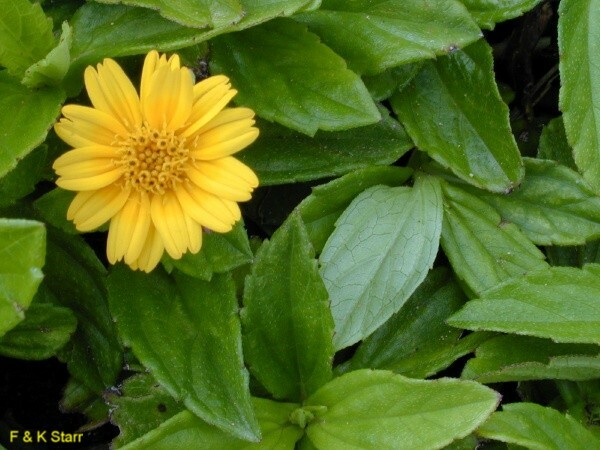 One of the most successful ways to use the creeping daisy is in hanging baskets where the long trailing stems can cascade out of the container and produce bright yellow flowers. This perennial is tolerant of a wide range of growing conditions. It can also be used as a permanent ground cover in warm parts of the country, although spread may need to be restricted. Cuttings are easily rooted.